KeepItLow had the most liked content! Yep, nothing major with the Meg RS, just some small niggles here and there. 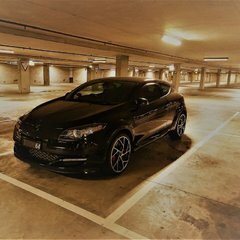 The car itself drove amazingly anyway you want it to Lol.. As for the Alfa Giulietta QV, it was kind of like a love at the first site and impulse buy for me.. Sitting inside the car feels very special in a way that you don't get from other cars or maybe its just me The 1750tbi engine is extremely smooth to drive and performance was not bad being just over 1300kg, only downside is the lack of limited slip diff when you start to push it a bit more. As for issues I encountered on it, I have to say its the most unreliable car I've ever owned.. LOL even though I still like the car a lot every other way! **Bought it brand new, picking up the car from dealership 2 days later my gf found out the passenger side window switch does not work. Took it back to dealership and they ordered new part from Italy, 2 month wait **After 10,000km the clutch pedal started making a clicking sound when depressed, took it back to dealership. The clutch master cylinder was faulty, they order new part from Italy, again 2 month wait **The interior became very rattly, instrument panel, dash and door trim. Took it back to dealership they managed to fixed a few, but cannot find out how to fix the other ones, ok learn to live with it **Out of the blue one night driving home after dinner, the gearbox locked out on all the upper gears R 1 3 5 and I was left limping my way home using the available gears 2 4 6. Took it back to dealership, something about the shift fork fell out of place so they fixed it. **During each service the coolant would drop to low point, the dealership cannot find out why. Obviously leaking somewhere, but their solution was "Don't worry we will top up the coolant every service or if need be". Ummm yehh ok **Then one night driving in rain, turned on the air con to clear the windscreen to find out no cold air was coming out. Went back dealership they advise the interior and exterior temperature sensor was faulty, ordered new part from Italy 1 month wait. After replace both sensor it happened again after a month All this happened within the first 9 month of owning the car from new, I think I had enough patience dealing with all these crap so sold the car and moved on! Never had any electronic issues on my '15 Meg RS265 CP.. 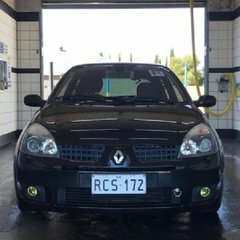 I bought the car used from a private 1 owner with 8000km on the clock only so it had warranty until 2020, drove it a few days and notice the brake pedal was wobbling side to side a lot, took it to the dealership and they look at it told me its normal all Renaults are like this so get use to it yahh ok, so I learnt to live with it.. Went back for warranty once due to oil leaking from engine cover bolts which is a very common issue, can easily be spotted once you take the top plastic cover off. I even told the dealership the oil is leaking from the bolts, but they say no its coming from the upper engine cover by which they replaced the gasket on it and cleaned up the leaking oil residues. Not surprised 1 days later there were oil residue on the engine cover, so went back again telling them the oil is certainly coming from the bolts as I said the first time. They took the car for a few hours and returned it to me telling me its normal for some oil leak on the top engine over, don't worry about it all Renaults do this and it does no harm seriously wtf?!?!? took it to Renault specialist mechanic Renotech and they sealed each of the engine cover bolts with sealant, no trace of oil leak after that. Big thanks to them! I had a slight paint flaking near the rear taillight, took it back to warranty they said they will need to paint the whole passenger side because of the liquid yellow pearl paint and it may still not look even with the rest of the car due to the pearl effect. They talked me out of it, so I lived with it and luckily the tiny flaking spot stayed the same so I guess its ok Another common issue is the inner door handle breaking due to bad placement and not supporting the big door properly, a lot of owners has had the door handle snapped off because of this, my drive door handle become very loose after 1 year and can see the bottom starting to break apart. Took it back to dealership as its under warranty, they looked at it and said ok we'll order you a new door card and give you a call when its here. 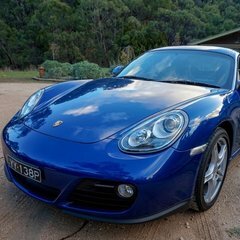 A month later I sold the car and its about 10 month since, I have never received a call from them regarding this. 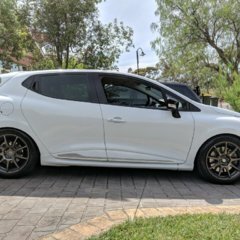 Maybe I should call them up and ask them sooo how's the new door card going, its being 10 month now Other than this, I enjoyed the car a lot on the track.. feel free to take a look at my Member's Ride Topic! 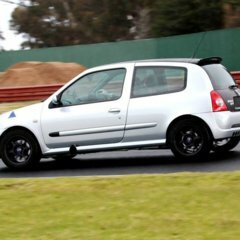 From my experience, warranty is pretty much useless when it comes to Renault.. Dealership services are quite poor and almost cannot fully fix a problem when it occurs, which result in you wasting time taking your car back again and again If I had known I would of bought a cheapest one I can find and any issues I'll just take it to reputable Renault mechanics to get it fixed, better than buying a more expensive one thinking it still has warranty left. Jump on Gumtree, there's a few Megane 2 wrecks available and you might be lucky to find one in your colour as well..
That is the only Megane RS model to arrive in Australia without a LSD, for most people its not a popular choice..
You're gonna love it, the megane is by far the best handling car I've ever owned in stock form and that's coming from a few fun sports cars!